Bud is a Financial Planner and has helped hundreds of people protect their assets for the past 20 years. He has the heart of a teacher and believes that people can dramatically improve their financial condition by simply getting the right information from someone they can trust and acting on it. Bud lives in Honea Path with his wife Joy and 2 children, Lauren age 17 and Andrew age 12. They have a 14 year old little boy Matthew in Heaven. In his memory they started Matthew’s Hope Children’s Ministry in 2003 to help underprivileged children at Christmas and now throughout the year. He enjoys coaching Youth Football and Baseball and spending time with his family. Bud lives by the philosophy of serving others first and loves helping people get more of the things money will buy and ALL of the things money won’t buy. Andy has served clients as an Accountant and Tax Preparer for the past 37 years. He was licensed as a CPA in December 1991. 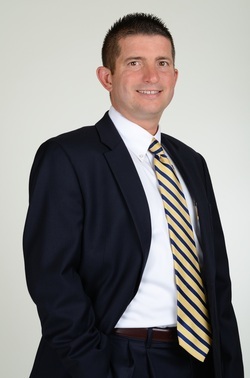 Andy joined Legacy Financial Group, Inc. in October of 2007 and has advised hundreds of clients and helped them improve their tax and financial situation. His work has saved clients thousands of dollars and made a difference in countless lives. He and his wife Amy live in the Ebenezer Community of Anderson County, South Carolina where they are active members of Long Branch Baptist Church. They have one daughter, Sloane and husband Mic and one granddaughter Charleigh Kate. Andy is a 1988 graduate of Limestone College. He serves on the Board of Directors at Broadway Water & Sewerage District. He enjoys spending time with his family, working outdoors and college football. Andy considers it an honor to serve you, our clients. Kim joined Legacy Financial Group in January 2009 as a Tax Preparer, Administrative Assistant & Seminar Coordinator. Prior to 2009, she was an Office Administrator for 10 years. Kim obtained her Insurance Producers license in May 2010. Kim and her husband Kevin live in the Craytonville community of Honea Path, SC. They have a daughter Kortney age 21 and a son Kameron age 18. Kim is a member of Austin Road Baptist Church, enjoys spending time with her family and vacations at the beach. Kim enjoys helping others and looks forward to serving you as a Legacy client. Melissa has served clients as a Tax Preparer for the past 16 years. She was licensed as a Life Accident & Health Insurance Producer in May 2010 for the State of South Carolina. Melissa joined Legacy Financial Group, Inc. in January of 2010 as an Administrative Asst. and Tax Preparer. She has helped hundreds of clients in correctly preparing their tax return. Melissa and her husband Robert live in Honea Path, SC. They have 3 Boys, Bradley age 24, James age 20 and Justin age 18. She enjoys spending time with her family and going to her boys’ activities. 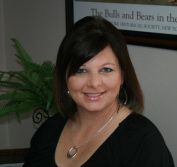 Melissa looks forward to serving you as one of our clients.